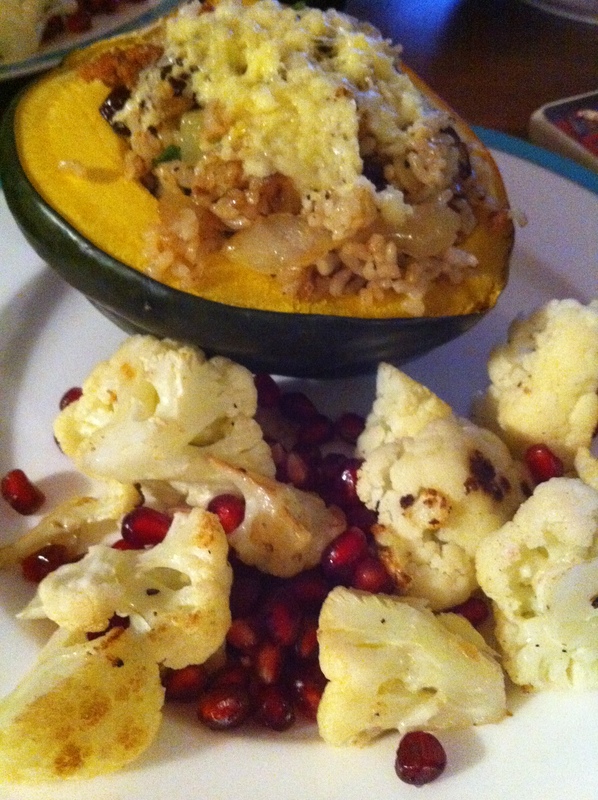 Stuffed Acorn Squash & Cauliflower With Tahini — Not Bad For A Monday Night! I’ll be the first to admit that weeknight dinners at the Keller household all too often consist of take-out or something super easy like frozen pizza (try the barbecue chicken pizza from Trader Joe’s immediately if you haven’t, by the way). Last night, though, I was feeling inspired by the December issue of Cooking Light and decided to give two new recipes a try: Sausage and Rice-Stuffed Acorn Squash and Fried Cauliflower with Tahini and Pomegranate. I highly recommend both recipes — they were perfect for this time of year. Preheat oven to 425 degrees and place squash on a baking pan. Bake for 30-40 minutes (until tender). Remove from oven and let sit for 15 minutes, then halve squash and scoop out seeds. Heat a large skillet over medium-high heat, and add Italian sausage to pan. Saute five minutes or until browned, stirring to crumble into small pieces. Remove from pan and set aside, draining on paper towels. Return pan to medium-high heat, and add oil, swirling to coat. Add onion and saute for four minutes, stirring occasionally. Add celery and saute three minutes, stirring occasionally. Add garlic and saute one minute, stirring constantly. Stir in sausage, rice, dried fruit, salt, and pepper (to taste). 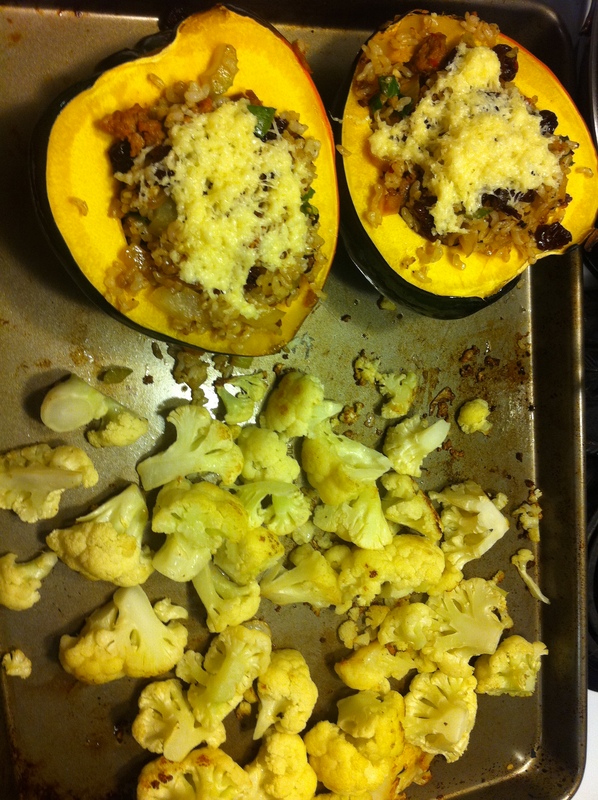 Divide evenly between squash halves and top with grated cheese. Broil for about four minutes (until cheese melts). Combine first four ingredients in a food processor and blend until smooth. Add water, one Tablespoon at a time, until mixture is the consistency of creamy salad dressing. Add salt and sugar and pulse to combine. Heat a large skillet over medium heat and add oil to pan, swirling to coat. Add cauliflower and cook for 10 minutes — until lightly browned — stirring occasionally. Place cauliflower on a baking sheet and roast for 18 minutes, or until tender. 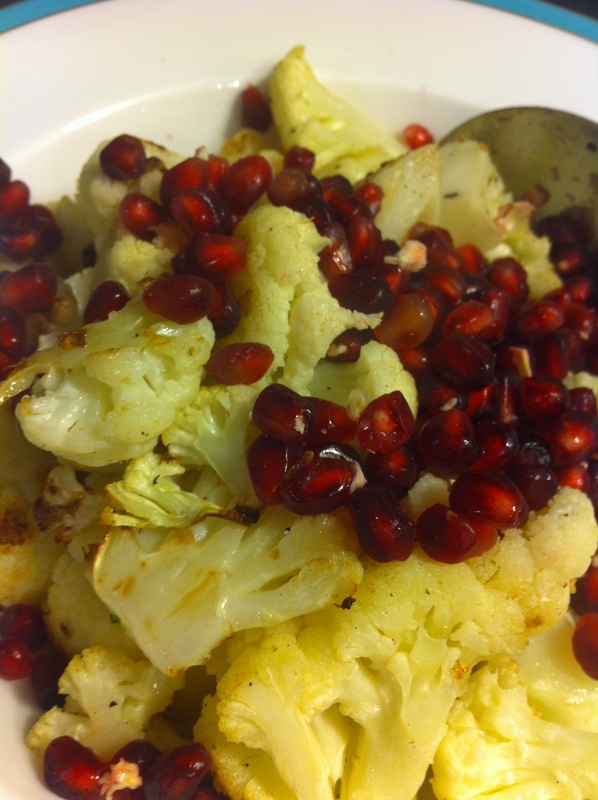 Sprinkle with pepper and salt, and toss with pomegranate. 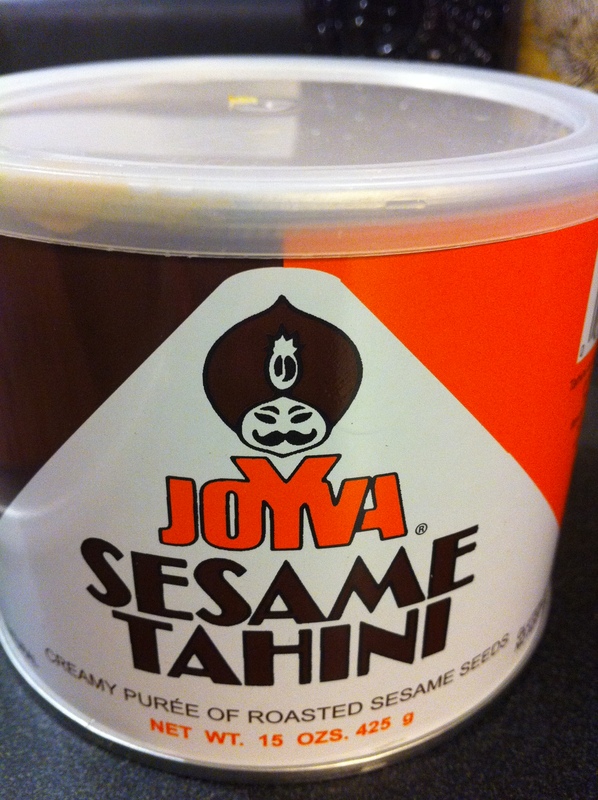 Serve with tahini mixture. A delicious Cyber Monday indeed. By AnnaIn Autumn Things, Food StuffsTagged cooking light acorn squash, cooking light fried cauliflower, fried cauliflower tahini, stuffed acorn squash brown rice, stuffed squash sausage1 Comment on Stuffed Acorn Squash & Cauliflower With Tahini — Not Bad For A Monday Night!